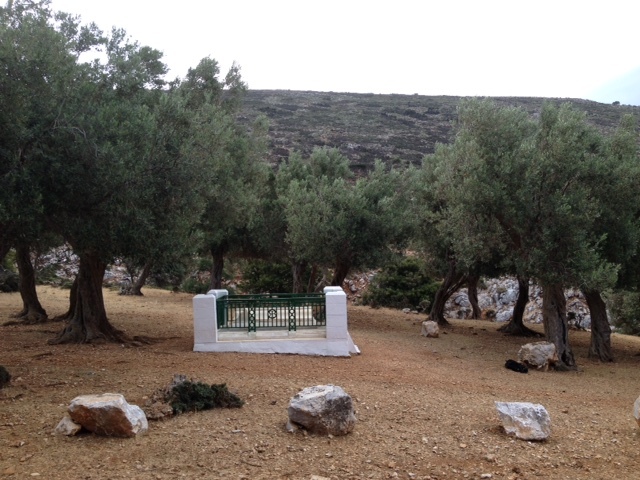 The grave is in an olive grove beside a dry stream bed at Trés Boukés, the bay with three entrances, where the Dardanelles invasion fleet anchored for a few days in April, 1915. Brooke died of septicaemia on a hospital ship on April 23rd. His friends William Denis Browne and Patrick Shaw Stewart had to hurry to bury him on land otherwise the Navy would have thrown him in the sea, so that night, with a party of sailors, they landed and climbed to where the tomb now lies. At 11pm, after digging the grave, the prayers for the burial of the dead were recited and Shaw Stewart ordered the salute to be fired. 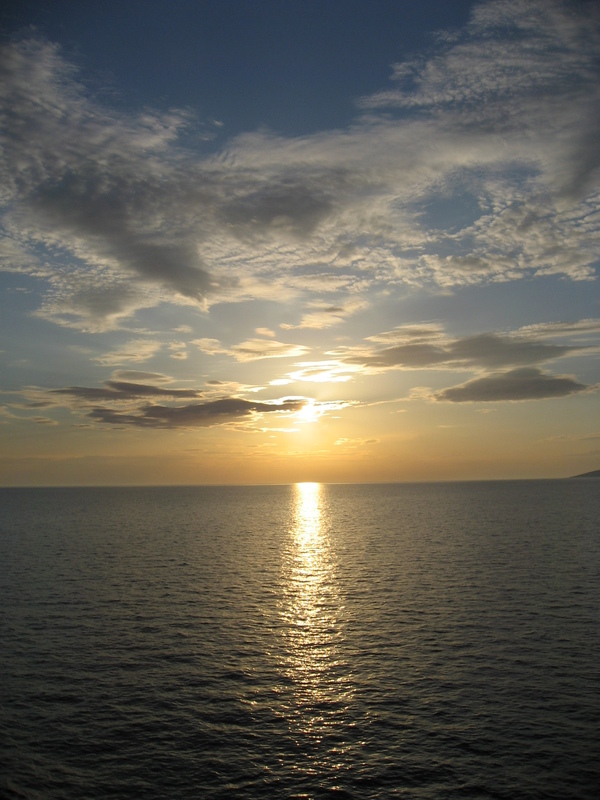 The fleet sailed at dawn, leaving the anchorage above, turning to port and bearing north-east for Gallipoli. Rupert, Patrick and many others, were enthralled by the idea of returning to the Homeric lands of Troy, the Dardanelles and Chersonese. Even though the descriptions of battle in the Iliad are savage and realistic they still believed the war would be a great adventure, a chance for glory and intense experience. It didn’t turn out like that, and the nature of Brooke’s death highlights the futile waste of the whole enterprise. By April 1915 hundreds of thousands of men had already been killed in France so their innocent excitement is hard to understand, but given what happened to them all it seems wrong to be too critical: within two months Browne was killed, and two years later Shaw Stewart too. Achilles was hidden by his mother Thetis in the Citadel of Skyros. Being a Goddess she knew what would happen if he went to Troy. But Odysseus persuaded the young man to join the Greeks and he sailed from the tiny port of Achille, still there a few kilometres from Brooke’s grave. That journey didn’t turn out too well either. 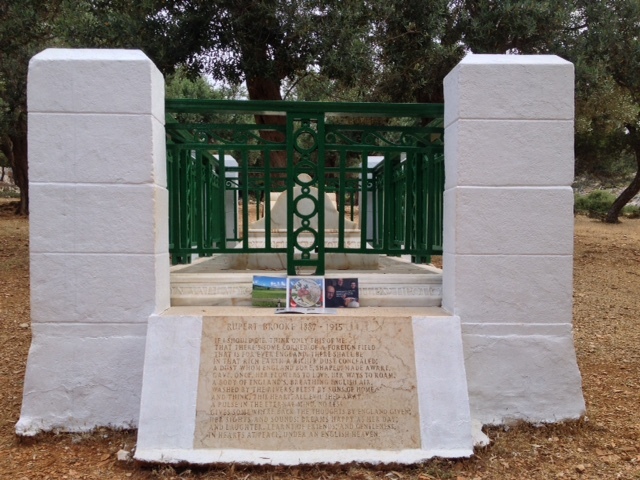 Rupert lies in a lonely, unvisited place, but the tomb is well looked after by the Anglo-Hellenic Society, who built it on the site of the original burial. 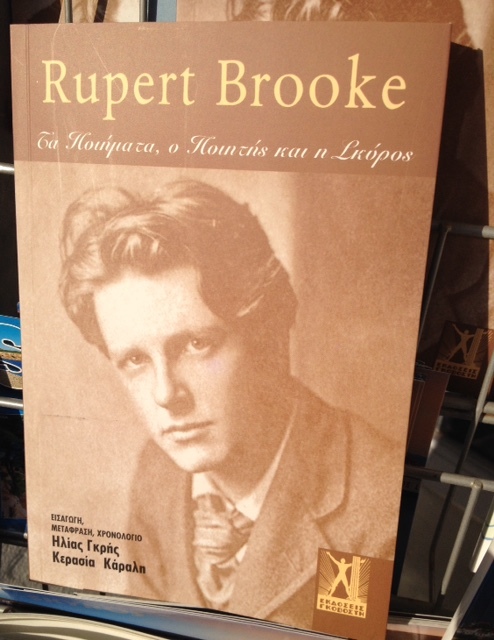 The local Greeks are proud of him being there on their island: they respect poets and poetry in Greece still. On the hundredth anniversary of Brooke’s death there was a ceremony at the graveside and, of course, a feast in the town. Commemorative posters, booklets, and editions of his poetry were published. 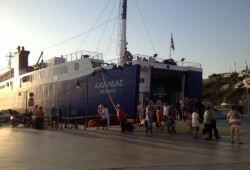 I had always wanted to visit Skyros. LiTTle MACHiNe’s WW1 recordings, with our setting of ‘I Saw A Man’, reminded me of this and is why I went this year. 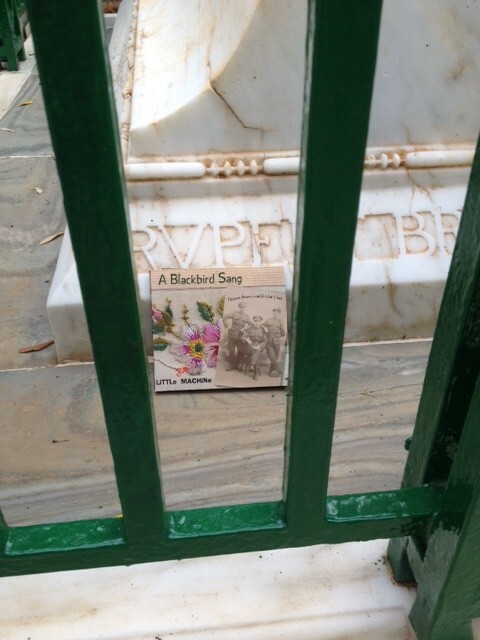 I took a copy of our CD, with the words of Patrick’s poem printed in its leaflet, and left it at the grave. 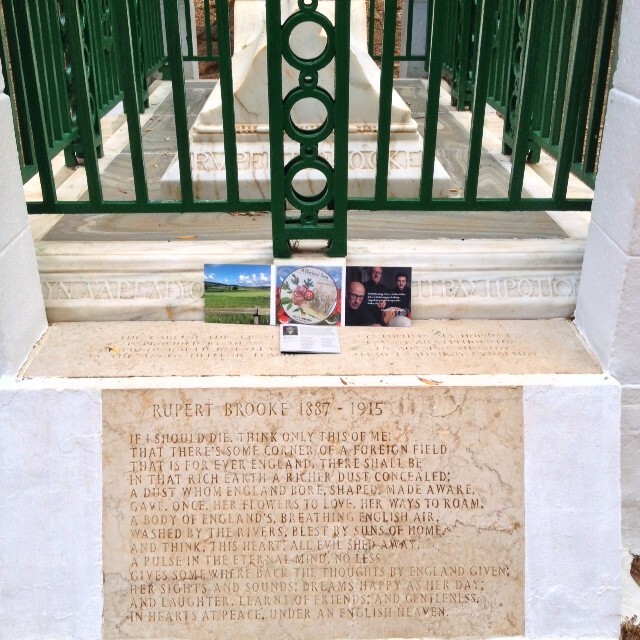 Brooke’s, ‘The Soldier’ is engraved on a slab at the head of the tomb, so now his friend Patrick’s poem is there too. I left the CD inside the railings, hoping the goats couldn’t get at it there. 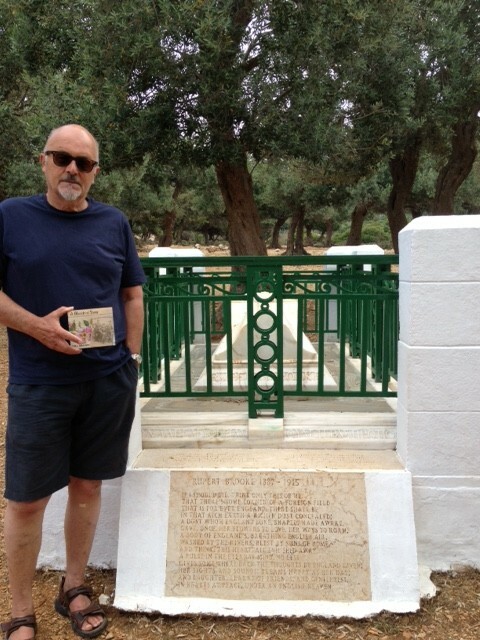 ‘I Saw A Man’ was written some weeks after the burial but I wonder if, in the lines, ‘I saw a man this morning, who did not wish to die’, Patrick was remembering Rupert’s secret fears.When your pilgrimage is done you return to the mainland at Ayia Marina, where no doubt Nemesis still watches everything we do, all the time. Patrick Shaw-Stewart – ‘I Saw A Man This Morning’. 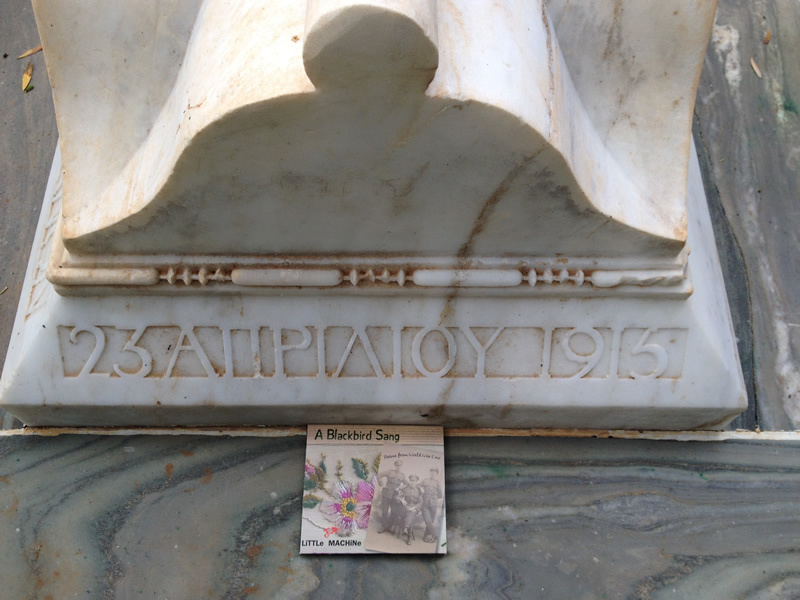 Posted in Blog, News and tagged Brooke's grave, Gallipoli, I saw a man this morning, Patrick Shaw-Stewart, Rupert Brooke, Skyros, ww1 poems, ww1 poets by Walter Wray.